The characters are well fleshed out and, most importantly, true to themselves through the entire book. Their development is believable and relatable. As always in good gay romance (and the reason I love the genre so much) both members of the couple are equal in standing and both of them view theother as equaly important. I loved this book and found myself captivated and unable to put it down. I love good, strong, character driven romances and Roan Parrish does a fantastic job with this one. The romance is wonderful and when I say romance I mean the little things. All the hugs, small touches, little kisses. The day to day parts of a relationship that build intimacy, trust, and love. Daniel and Rex might have insta-lust and jump into things quickly but they have a nice slow burn to the other aspects of their relationship. Rex, Rex, Rex! He might be one of my new favorite book boyfriends. I loved his quiet, shy demeanor mixing with his confidence when he was with Daniel in the comfortable environment of his home. He’s so protective and sweet and gentle. Rex is particularly demonstrative and I loved it because his care and his expression of his caring was so great. I LOVED the scene where Rex describes how he first met Daniel. Since this book is completely from Daniel’s POV it was a really great moment to see deeply into Rex’s thoughts and emotions. It was so sweet. Daniel goes through a lot of personal growth in this book and it was really great to read about. Often times characters are stagnant in a book but not the case here. He really grows in how he learns to trust Rex and others, how he opens himself up to others, and how he learns to accept that not everything has to be met with anger and fists. I do wish Daniel had shared his nightmares with Rex. He shares everything else about his ex and his family and Rex can somewhat guess that Daniel has been hurt in the past, but that conversation never happens, even though Ginger urges Daniel to share what he’s going through. I would have thought that Daniel would have a better understanding of why his students might be struggling with their papers. After all, Daniel didn’t finish college through the traditional route and he knows what it’s like to feel like he doesn’t get or have what others do. He eventually realizes how hard he’s being but it takes him a little while. 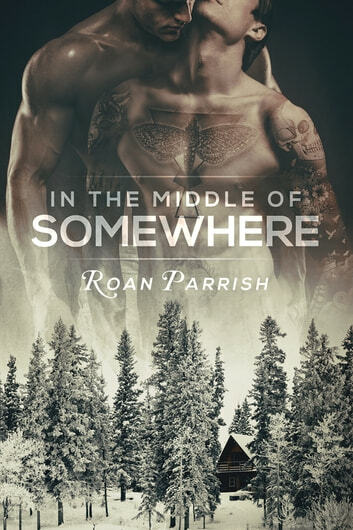 Series Note: I have to say that though I plan to read more by Roan Parrish, I will not be reading the next in this series, Out of Nowhere. Due to my personal opinions and preferences, I just can’t read about Colin as a romance hero after all the cruel things he put Daniel through growing up, regardless of his troubled and tortured reasons for doing it. If this doesn’t bother you, then go for it as many people loved the second one. Oh Daniel. Oh Rex. I love you guys. This is a wonderful, touching story. Really excellent writing and a story that is character-driven in the best way - ie, there is still a plot (but nothing cliche, forced, or contrived). It's on the long side, but again that was a good thing in this case; it was so good that I didn't want it to end. I can't wait for more in the series. Awesome new author. Daniel and Rex's story is an example of 'fate' bringing together those that belong together. They were so obviously meant to be for each other. I hope to read how their relationship progresses through the challenges they will face. I want to also discover Colin's story.